I loved Avatar the first time I saw it. I consumed all three seasons within the span of a few weeks. The best part about it was that I was able to watch it with the family. I wouldn't think of subjecting them to the torture that is this movie. 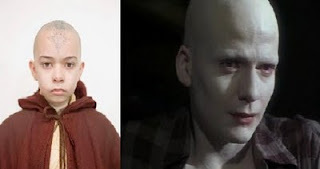 I despise M. Night Shyamalan with a passion. He is a hack that has no place directing, let alone, writing movies. The twists aren't clever, the pacing is awful, and he brings out nothing in his actors. The fact that he got his hands on this property is beyond me. Instead of my normal review format, I've decided to try something new. I'll construct a list of pros and cons to try and give this movie a fair chance. Let's see how it goes. Casting - In a show featuring primarily Asian and Indian cultures, why were all the main cast Caucasian? It has absolutely nothing to do with acting ability, but when Aang is whiter than Powder, it destroys my sense of disbelief. Sure you can, and did, cast different races and nationalities, but it acts as a barrier to the fans of the series. If you can't get the fans behind you, then you should realize that a potentially fatal error has been made. The Avatar had a rough time once he discovered Meth. The Name Game - Beyond the wooden acting and terrible casting, they didn't even pronounce the main character's name correctly. It's pronounced with a hard "a", like bank or tank. Instead, they said it like "Open up and say "Aaaah" because this prostate exam of a movie isn't going to be pleasant." Why? M. Night thought it would be clever to change established names so they were more "authentic". Granted this wasn't the only pronunciation changed. Iroh went from "Eye-Roh" to "Eer-Roh", Sokka from "Sock-Ka" to "Sew-Ka". Acting - Pinnochio was more convincing as a real boy while still in puppet mode. Nuff' said. Pacing - Everything in this movie is rush rush rush. Granted, they're trying to squeeze an entire season into one movie, but it severely hurts the story telling. When one of your characters has to read the cliff notes for each scene because you're doing mach 7 through the story, one of two things needs to happen: lengthen the movie or break it up into two parts. I stopped watching the movie actively around the 30 minute mark. The siren's call of Geo Defense pulled me away. In the end, The Last Avatar butchered what could have been a fantastic movie franchise. Based on the reviews, fan reaction, and money earned, it's doubtful that we'll see another anytime soon. 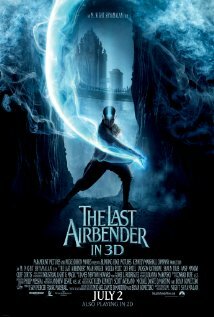 "The Last Airbender" is one of my favorite movie that I watched in 2010. I love this movie. I am a big fan of fiction and fantasy movie. I really enjoyed full movie with my friends and little brother. Gaming as a part-time job?